Rough Brother's agricultural experts, structural engineers and executives will be on hand to answer your questions about greenhouse structures and evolving technologies in a growing industry. RBI is displaying its classic Venlo structure along with various other prototype structure samples. There will be a lot to learn about grow towers and grow lights. Rough Brothers, Inc. is exhibiting at Cultivate’14 from July 12-14, 2014, at the Greater Columbus Convention Center in Columbus, OH. Be sure to visit RBI (booth #2107) in the main exhibit hall. RBI is displaying its Venlo structure along with various other prototype structure samples. There will be a lot to learn about grow towers and grow lights. RBI’s agricultural experts, structural engineers and executives will be on hand to answer your questions about greenhouse structures and evolving technologies in a growing industry. 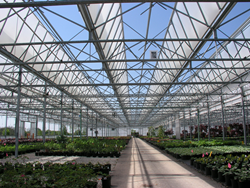 Leveraging more than 80 years of experience in the commercial design-build specialty structures market, RBI works with its clients to identify the most economical, durable and robust solution for commercial greenhouse structures. Rough Brothers’ in-house design & engineering staff are anxious to help you design, engineer, manufacture and build cost effective and sustainable commercial greenhouse facilities. Cultivate14 is where you learn the latest trends, see the latest products, and connect—face to face—with the people you usually only meet online or over the phone. This is the largest horticultural industry event in North America, serving every segment from production and retail to installation and suppliers. So it's only natural that when you're here, you'll find the answers to all of your business questions, and all the solutions you need to grow. This is where companies debut their latest and greatest products and services, and the entire industry comes to see what they've never seen before.